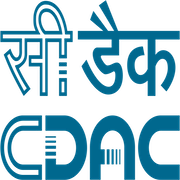 Online Application Details for Centre for Development of Advanced Computing CDAC Recruitment of 5 Project Engineer and 4 Project Associate is given below. Application form and duly attested documents are to be sent to Human Resource Department, Centre for Development of Advanced Computing, Plot No. 6 & 7, Hardware Park, Sy No. 1/1, Srisailam Highway, Pahadi Shareef Via Keshavagiri (Post), Hyderabad -500 005. In envelope super scribed with 'Application for the Post of Post Name'.